Fasta Pasta has existed for as long as I can remember. I thought it must be decent to have remained in business for so long. With high standards in mind, built up over years of longingly gazing at their logo coupled with a life-long love of pasta, it was inevitable that my first visit to Fasta Pasta would be a little disappointing. However, I would be quite happy to eat there again, with lower expectations next time. I ordered the ravioli fantasia, beef ravioli with mushrooms slathered in a creamy sauce. It is meant to have bacon pieces, but I requested mine without. As can be seen in the picture below, it closely resembles a pile of shiny puke. However, looks can be deceiving and it tasted totally fine. While it was not particularly flavoursome, it was not quite as bland as it looked either. The ravioli seemed to be better quality than supermarket ravioli. At first I thought they had scrimped on the mushroom, but it turned out they were hiding under the ravioli. The dish also had a few onion pieces, but the sauce did not seem to have even the slightest bit of an onion taste. I ordered the entrée size, which was $13.90, and found it to be more than enough to fill me up. The thick sauce combined with seemingly endless ravioli made it quite a heavy meal. Fasta Pasta may not serve the prettiest meals, but they tasted fine. They were able to serve gluten-free pasta for my gluten intolerant friend, which made for a nice change from restaurants that suggest she order a different dish. They also warned her that the creamy sauce on the pasta she chose was not entirely gluten free (she decided to take the risk and eat it anyway, to no ill effects). Don't go there expecting fine dining. It's family-friendly comfort food, easy on the wallet, and served with a smile. There was no atmosphere to speak of - at about 2pm on a weekday, there were few other people in there. On the upside, this meant that we received quick and very friendly service. 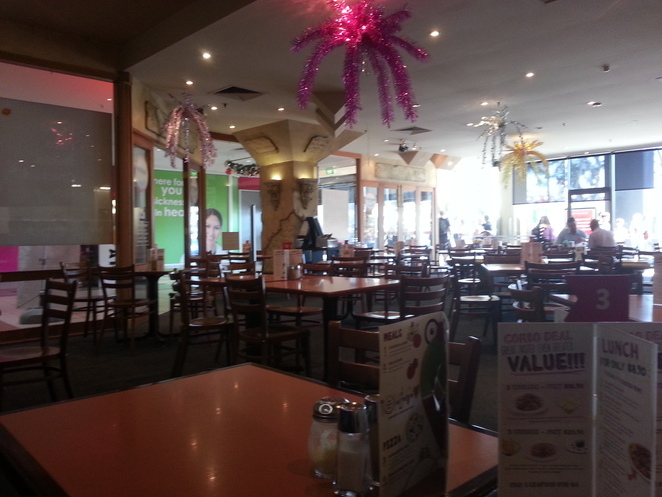 Interior of Fasta Pasta, Mulgrave. I went to Fasta Pasta in Brandon Park Centro, but there are also a few other locations across the state. Find your closest Fasta Pasta restaurant here. Why? To get your ugly but tasty pasta fix. When: 11:30am - 9:30pm, daily. Where: Shop 105, Centro Brandon Park, Corner of Springvale and Ferntree Gully Roads, Mulgrave. Cost: Cheap. 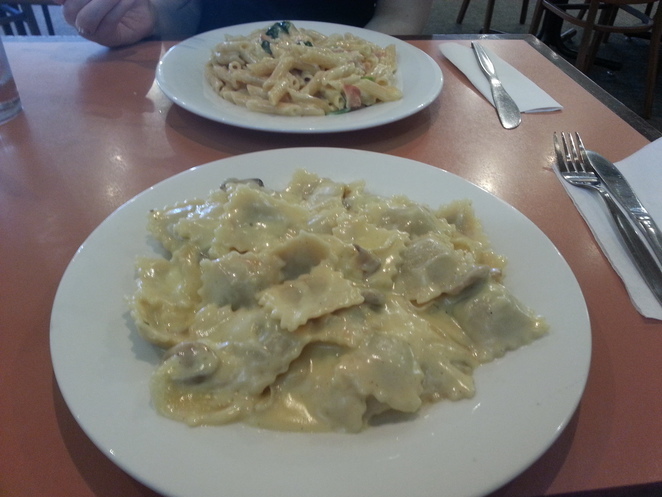 Pasta dishes cost $13.90 each.